Understanding Delta-Sigma Data Converters brings readers a clear understanding of the principles of delta-sigma (DeltaSigma) converter operation--analog to digital and digital to analog. It introduces the best computer-aided analysis and design techniques available. With an understanding of the great versatility of the DeltaSigma converter, readers can apply their new knowledge to a wide variety of applications, including digital telephony, digital audio, wireless and wired communications, medical electronics, and industrial and scientific instrumentation. The authors make the material accessible to all design engineers by focusing on developing an understanding of the physical operation rather than getting mired in complex mathematical treatments and derivations. Written for entry-level readers, the publication has a natural flow that begins with basic concepts, enabling the readers to develop a solid foundation for the book's more complex material. The text, therefore, starts with a general introduction to the DeltaSigma converter, including a brief historical overview to place it in context. 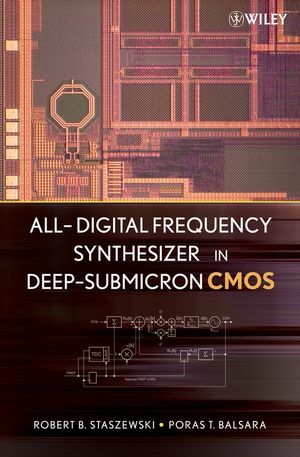 Next, the publication introduces the first-order DeltaSigma modulator, covering oversampling, noise-shaping, decimation filtering and other key concepts. Then, using the first-order modulator as a foundation, second and higher-order modulators are presented and analyzed. Finally, the authors delve into implementation considerations and present several design examples using the Delta-Sigma Toolbox. 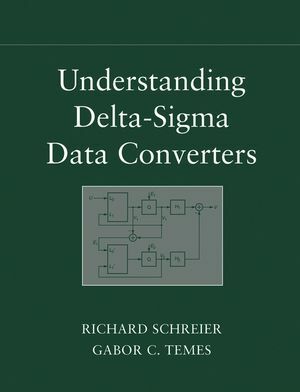 This is essential reading for all design engineers who want to learn and fully harness the powerful capabilities of DeltaSigma data converters. Upper-level undergraduates and graduate students will find the book's logical organization and clear style, coupled with numerous practical examples, a great entry into the field. RICHARD SCHREIER, PhD, is a Senior Design Engineer for Analog Devices in Wilmington, Massachusetts. He has published numerous papers relating to delta-sigma modulation including one which received the Lewis Winner Outstanding Paper award at the 2002 ISSCC, and is the creator of the Delta-Sigma Toolbox for MATLAB®. GABOR C. TEMES, PhD, is a Professor in the Department of Electrical and Computer Engineering at Oregon State University. He is a Life Fellow of the IEEE and a recipient of the 1998 IEEE Graduate Teaching Award.